Speedo's updated version of their most popular selling junior-sized recreational mask/snorkel set is even more comfortable than before! 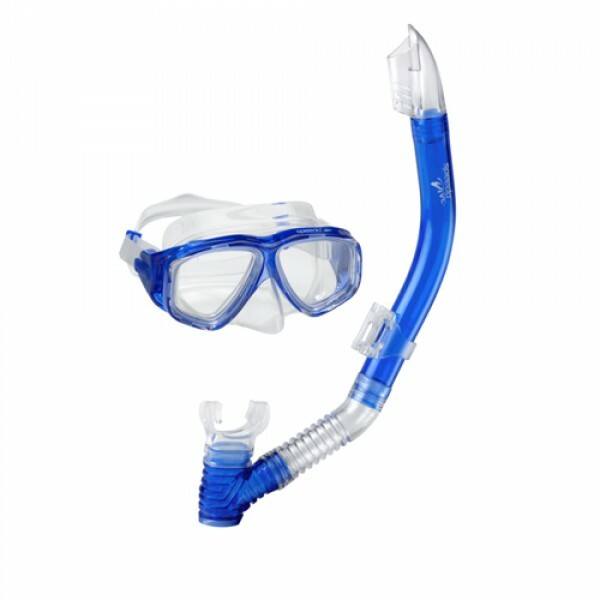 This two piece set is ideal for snorkeling and recreational swimming, at a great price value. The 100% silicone skirt is super soft and fits like a glove on your face. The Speed Fit strap allows for super easy and quick adjustment, while the polycarbonate lens with Anti Fog Max coating is lightweight and allows for clear underwater viewing. The snorkel also features a splash resistant top so that water won't come in through the top.